Mens Beaded Bracelet. Unique and great craftsmanship. 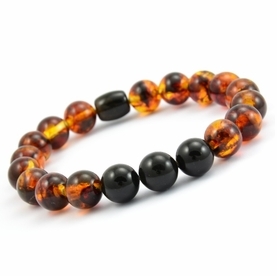 Mens Beaded Bracelet, made using the finest quality matte black and one polished cognac perfectly round Baltic Amber beads. Strung on an elastic strand that easily slips on your wrist. Handmade in our workshop by experienced amber artisans. PLEASE CHOOSE SIZE. If you need a special size, we would be happy to make it to your specifications. Handmade in our workshop by experienced amber artisans. 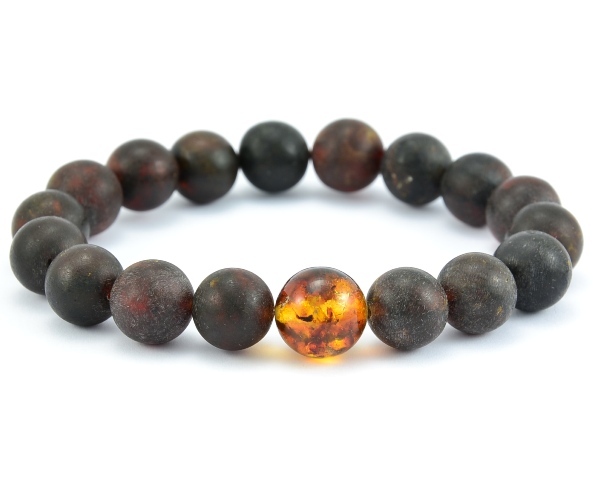 Baltic Amber is a powerful healer and cleanser of the body, mind and spirit. 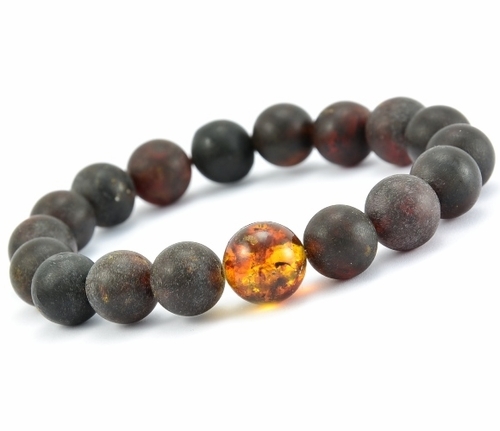 Amber draws disease from the body, healing and renewing the nervous system. 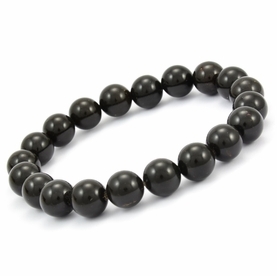 It absorbs pain and negative energy, helping to alleviate stress. 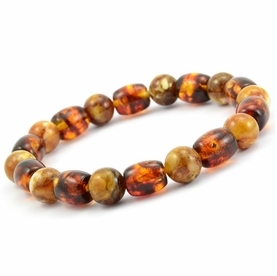 Amber clears depression, stimulates the intellect and promotes self-confidence and creative self-expression. It also treats stomach, spleen, kidneys, bladder, liver and gallbladder. Amber strengthens the mucus membranes and alleviates joint problems. Immune boosting properties. Read more about the many healing benefits of Amber. 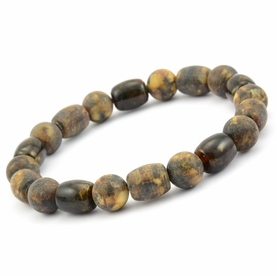 Our Men's Amber Bracelet are entirely handcrafted. They are made of authentic Baltic amber, the most esteemed type of amber in the world. Our products have made thousands of satisfied customers and created lots of repeat business.